Stanalone design, no PC required to operate the USB duplicator. Supports all types of data copy formats while performing bit-by-bit duplication. Supports “quick copy” for Linux (ext2/ext3/ext4) and NTFS, FAT16/32, exFAT. Data Sanitization: quick erase, full erase, and DoD erase. Can handle the largest USB capacity available on the market. Handles USB-HDD with a capacity over 3TB. Supports hardware-level write protection for USBs (contact us for details). The most cutting-edge in duplication technology, our Intelligent 9 series USB drive memory card duplicator is a professional, standalone and efficient equipment which can provide a full range of USB drive memory card duplicator starting from 9 and up to 119 targets. The speed and flexibility are the key factors to satisfy customer needs. Simplicity, no PC or other software are required; the USB drive memory card duplicator provides a reliable, worry-free copy environment for users without the risk of virus infection. 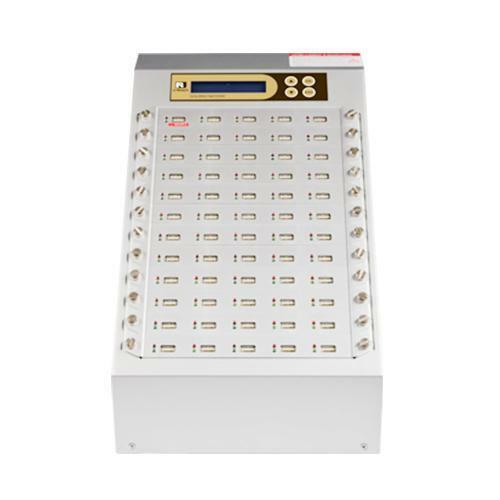 This Intelligent 9 USB drive memory card duplicator series is integrated with a high-speed compare function to ensure data copy with 100% accuracy along with quick format capabilities. This will greatly help increases efficiency and production productivity. The Intelligent 9 USB drive memory card duplicator is an economical solution for data copy and distribution via USB drive memory card. It embeds smart and beneficial function and outstanding performance, reliable and quality that will save your time and money. 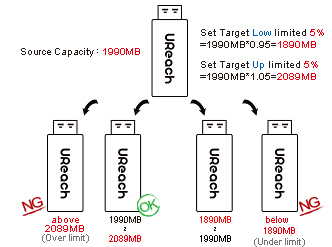 2.0GB/m for all devices synchronously without any speed decline. Supports Copying All kinds of USB Devices. With sufficient a power supply and unique design, it can support all kinds of Flash media, including the USB 3.0, external USB hard drive, MP3 player, etc. Supports Linux Formats for Quick Copy Features. Quick copy only copies contained data in any NTFS, Linux (ext2/ext3/ext4) and FAT 16/32/64 to save your time. 1.- Highest efficiency：checks the bulk quantity all at the same time. 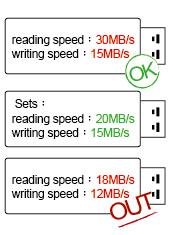 Sets limit of lowest reading and writing speed ”it picks up Flash devices that are below the setting speed. Set “target tolerance” it picks up Flash devices that have exceeded the tolerance range. Double-source comparison can eliminate the chance of a duplication error caused by a worn source. Use the first port as a copying source and use the second port as a compare source. It can guarantee the highest reliability and 100% correctness of the duplication result. It’s flexible enough to add extra power for a large-scale duplication. The ergonomic design makes flash insertion and removal easier, which also greatly enhanced production efficiency. The compact dimension is smaller than the traditional Flash Duplicator by 50% to 70%.